Dennis is a popular seaside resort town, notable for its stately colonial mansions along Historic King‘s Highway, and its picturesque, warm water beaches along Nantucket Sound. The town lies on the eastern banks of the Bass River, which nearly divides the Cape in half. There are several small ponds and lakes in town, as well as Sesuit Harbor to the north and West Dennis Harbor to the south. In 1978 it was named an All American Town. The town of Dennis is a cultural hub, home to the Cape Playhouse and Cape Cod Art Museum as well as historical points of interest including Hokum Rock and Scargo Tower. It is a well managed town with very attractive tax rate. The South Dennis historic district is a residential area with lots of old sea captain's homes, farm houses and other historic properties. West Dennis - Residential area that includes one of the best wind surfing beaches on the Cape (West Dennis Beach) that happens to also be one of the largest swimming and bathing beaches on Cape. 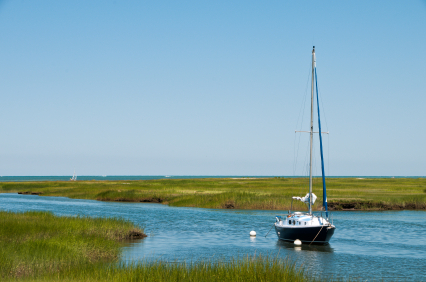 Lots of recreational boating access to Nantucket Sound via the Bass River. Dennis Port - Lively vacation area featuring many beaches, eateries of all types, motels, cottage rentals. Both the north and south shores have many great beaches, as well as the Dennis Yacht Club in the north and West Dennis Yacht Club in the south. Dennis has 16 beaches off the Nantucket Sound with Cape Cod Bay to the North. Additionally it offers two freshwater beaches on ponds. Dennis boasts two distinct personalities: an animated, lively beach lifestyle on Nantucket Sound side and a quiet residential small town lifestyle on the Cape Cod Bay side. 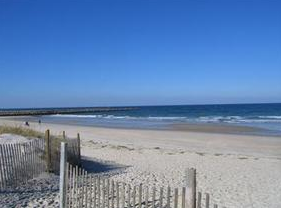 The beach at West Dennis is a large, warm water beach with easy access via bike, car or by foot that borders the Bass River. It has abundant parking, a concession stand and a designated area for windsurfing, which makes it an excellent choice for Windsurfers. Located on Cape Cod Bay, this beach is a great low key beach for little kids, since even on windy days it has no surf. During low tides, it is excellent for exploring the tidal flats because you can walk out a 1/2 mile in some spots. Scargo Lake in Dennis is a clean swim-able fresh water pond with Princess Beach that is open to the public. A Town Sailing program is run on the lake and Scargo Hill Observation Tower offers panoramic views of Cape Cod and Cape Cod Bay. Vibrant year round, the community features many volunteer opportunities, a successful library system (library in each of the 5 villages), art and music opportunities (Cape Cod Museum of Fine Arts, Dennis Playhouse), summer village green concerts on the Bay and Sound sides, a Cape Cod Rail trail bike path, water sports and fitness opportunities. There is Kayaking, Canoeing, Birding along the Bass and Swan Rivers and Quivet Neck as well as fishing, quahog & claming. The town operates many golf courses at affordable rates.